Your wedding was stressful enough. Now, it’s time to relax and enjoy your new beginning. And, a honeymoon destination that screams romance is just what you’ll need. Unlike most honeymooners you won’t be left drowning in a world of confusion trying to figure out which location is the best fit for you. Here, are the top 10 honeymoon destinations to help narrow your search. Mexico has an array of romantic destinations to visit. But, best of all, it’s closer to the states and most places to visit are reasonably priced. So, whether you plan on visiting a luxury resort or taking a walk along the grounds of the ancient Mayans in the canyons; Mexico has it. Hawaii is the usual place of chose for most honeymooners as you’re sure to be surrounded by beautiful coastlines, volcanoes, friendly locals, white sand beaches, and world class resorts reside. St. Lucia is best known as the dynamic duo of France and Britain. But, if a view of lush nature if your scenery of choice, this is the best place for you. From volcanoes to clear blue waters filled with marine life and a clear sky blue air. The Dominican Republic is another beautiful place to visit. It’s also fairly close to the states, which makes it an affordable place to visit. Jamaica is the place to go if you are looking for a bit of all-night romance and fun. This tropical island also offers lush forests and waterfalls to explore while walking hand-in-hand. Fiji is a perfect place to view picturesque coastlines at dawn. It’s hard to find a place that has palm trees, mountains, beaches, and resorts all in one place. The Bahamas is yet another close favorite for Americans because of its location. This honeymoon destination is made up of a cluster of over 700 islands to choose from. What a variety at a reasonable budget. If you love to snorkel on white sandy beaches, Antigua is the place for you. This location has some of the world’s most amazing reefs for snorkeling and diving. Surprisingly, Europe has become increasingly popular as one of the top 10 honeymoon destinations. One of the most popular locations is Italy. It’s no wonder Italy has everything to offer a romantic honeymoon. Last, but definitely not least, Tahiti is known as the ultimate paradise. Being completely surrounded by its natural beauty to its Polynesian kindness, you can never make a wrong decision with any of these top 10 honeymoon destinations. My husband Aidan and I went to visit his family in Manchester for my sister-in-law’s wedding. What a great trip! I had not been home with him since we got married in 1995…they keep coming here. I’ve traveled quite a bit in my years as an agent but on this occasion I got to see things not as a tourist but as a “local”. My father-in-law took me to Old Trafford where Manchester United plays and where my husband played when he was a professional footballer. It was awesome because I got to go behind the scenes where the normal tours don’t take you. Next, we visited a local chippy for fish and chips…love it! One of the best meals I had while I was there. After the wedding we all packed up and went to Lake Windermere in Bowness. I saw some of the most beautiful countryside I had ever seen. We took the ferry to Ambleside and walked the cobblestone streets then drove to Keswick and ate in a local pub. Drank lots of wine and had a great time with the family. When we got back to Manchester we had lunch at a tapas restaurant at the Trafford Center…I’ve been to Mall of the America’s in Minneapolis and the Trafford Center is close to being as large as Mall of the America’s. Our last day we went to Bury Market…similar to our farmer’s markets but with so much more! The scariest part of the trip…I drove my in-laws car! Didn’t have a hard time driving on the left hand side but having to change gears with my left hand proved to be quite challenging! I’m looking forward to our next trip to Manchester! This was my first trip with CIE tours and was very impressed. We decided to check out the tour that covered Dublin, Donegal, Galway, Furbo, Killarney and Blarney which is approximately 900 miles drive. The first two nights were in Dublin where we took in St Patrick’s Cathedral, the Book of Kells and Trinity College which were all amazing. 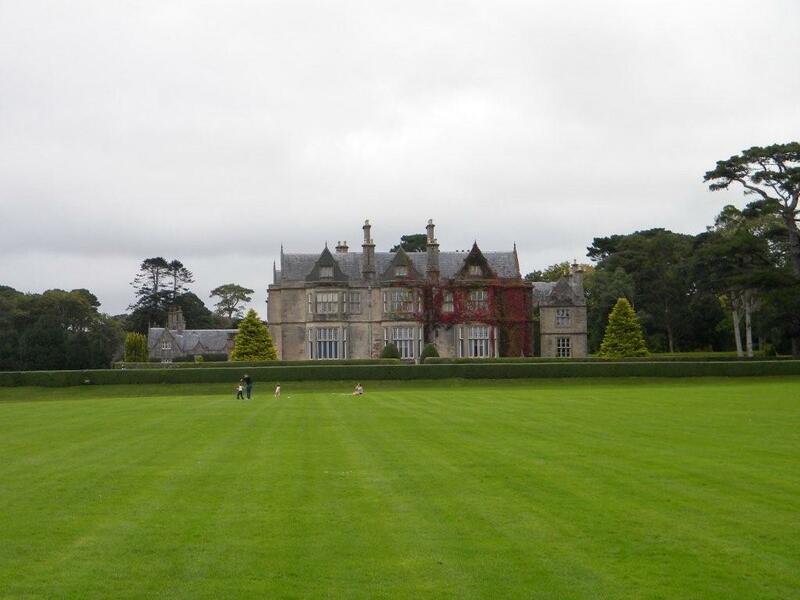 We stayed the night in the Clontarf Castle which we felt was the perfect mix between old world and new. 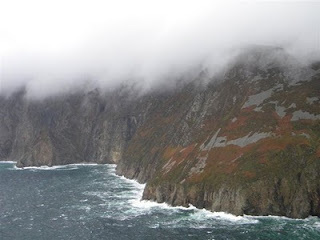 Next we traveled by motor coach to Donegal where the Belleek pottery factory and the Sleive League cliffs are located. Sleive League is the highest cliffs in Europe at an amazing 1972 feet. Next we traveled to the Cong/Galway area where we stayed at the Connemara Coast Hotel. Galway Bay is one of the locations where they filmed PS I Love You and is just down the road from the famous Ashford Castle Hotel. Next on the tour was Killarney, home to the famous Ring of Kerry. Killarney is also located on the west coast of Ireland and is full of beautiful Churches, Castles and shops. The Ring of Kerry was a 4 hour drive around the coast line and to this day is my wife’s favorite destination that weve ever traveled to. 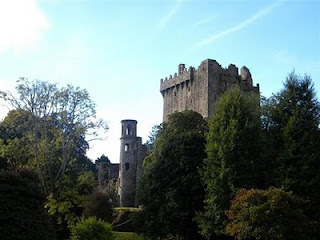 From there we went on to kiss the Blarney stone at Blarney Castle. Blarney Castle has to be one of the most beautiful Castles I’ve ever seen. Thousands of acres of lakes, forests and gardens are there to captivate the imagination! Our last and final stop was the Rock of Cashel. This Hogwarts Castle looking structure is the oldest of all Castles in Ireland. 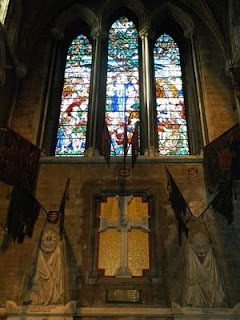 It was visited by St Patrick himself back in the late third century. CIE did a fabulous job and took us to great restaurants and showed us around their beautiful country in style. I will definitely be planning these trips for my clients in the future!